The Millstone Nuclear Power Station has been granted a temperature increase for the seawater used to cool Unit 2. That water can now be as warm as 80 degrees, five degrees higher than it has been. The approval comes 20 months after the unit was shut down for 12 days when the Niantic Bay water it draws from exceeded 75 degrees. It in fact hit 77 degrees at one point. It was the first time any U.S. nuclear power plant using ocean water was shut down because of intake water temperature problems. 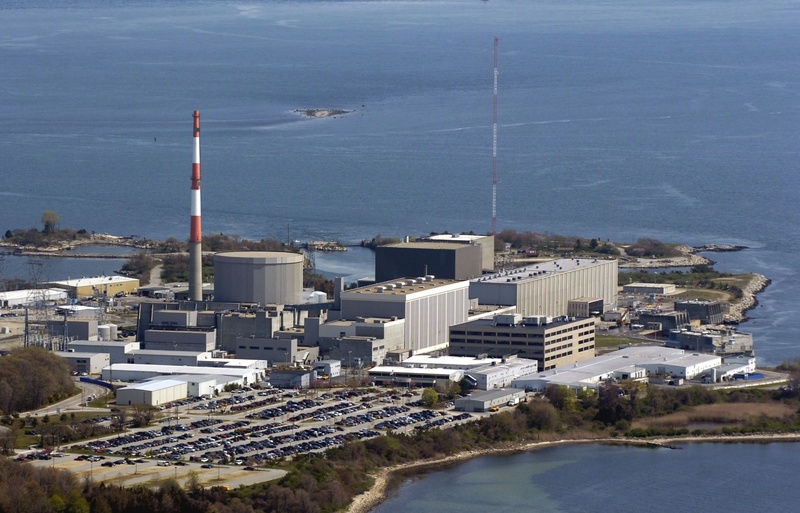 Such an occurrence had seemed unlikely for Millstone because its cooling water comes from Long Island Sound. But since Unit 2 went online in 1975, scientists there have seen the water temperature rise about 2.8 degrees. The summer of 2012, when the shutdown occurred, had been warm and it followed an extremely mild winter during which Long Island Sound water temperatures stayed warmer than usual. Last summer, intake water temperatures topped out at around 73 degrees, said Millstone spokesman Ken Holt. While there’s no way to specifically say the cause of the water temperature increase is climate change, many see that as its root. Lochbaum said an important aspect of the ruling was that it did not raise the temperature allowed in the equipment rooms. Instead it allowed for an additional 20 percent flow of water – which Millstone already has the capacity for – to keep the equipment cooled to the same temperature. The ruling, which is technically a license amendment, requires no further action from Millstone, though Holt said plant owner Dominion has installed new, more accurate thermometers at its water testing sites. In filing the temperature increase application a year ago, Millstone sought to demonstrate that the existing equipment could operate safely at the higher temperature. Millstone has also sought a temperature increase for its other larger unit, Unit 3. It draws its cooling water from a deeper, colder area and did not shut down in 2012, though the water temperature did come close to its limit. The NRC has not ruled on that request yet.